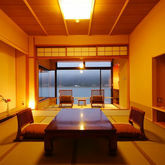 Vast area with 6600 square meters in Kinosaki Onsen, Ginka features Japanese style rooms, natural hot springs and Japanese food restaurants.This property is a 18-minute walk from the beach. 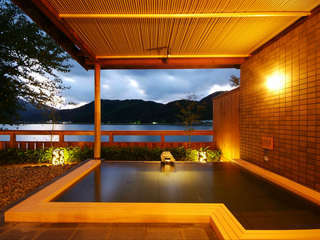 Ginka offers 4 different types of natural hot springs including Japanese cypress bath. 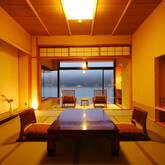 From outdoor bath, guests can relax yourselves with a views of Maruyama river. 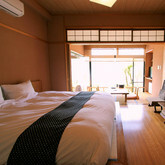 All guest room at Ginka come with Tatami flooring rooms and Tatami sleeping mats. Also TV, fridge and electric kettle are featured. Authentic Japanese cuisine with seasonal local ingredients can be tasted at Tosho. Unsui offers stunning views of Maruyama river. Kinosaki-Onsen JR Station is a 5-minute drive away. From Kyoto, it takes 170 minutes by Express train. An example of dinner. 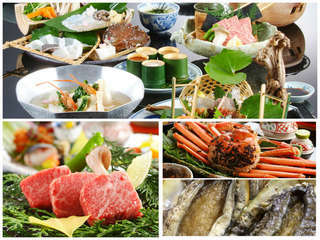 You can pick "A whole boiled red snow"(one crab for 2 guests) or "An abalone"(100g for 1 guest). 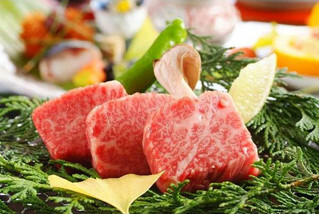 -Menu: Aperitif, Appetizer, Soup of clam, Fish sashimi, Stewed fish(boiled with soy sauce, ginger, sake and so on), Tajima beef steak, Fish shabu-shabu, Hot pot with zosui(rice soup), Pickled vegetables, Dessert. 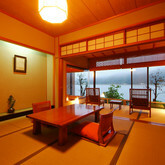 * Guest can pick "Boiled an red snow crab"(one crab for 2 guests) or "An abalone"(100g for 1 guest)!! If you pick an abalone, you can also choose how you want them to be cooked. (Sashimi, Grilled with salt or butter, Shabu-shabu, Tempura). * Please pick a boiled snow crab or an abalone and let us know by 17:00 the day before your stay. If not, we serve an abalone. * Menu items are subject to change due to seasonal availability. 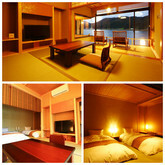 * The only room that we serve meals in guest room is "Japanese-Style Superior Room with River View. -Bath(hot spring): Large public bath opens through the night. Two other baths(bamboo and wood bath tubs) are free for private use. 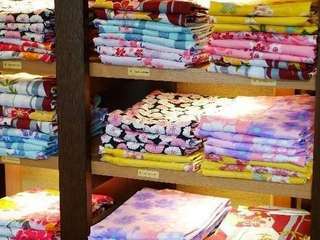 -Designed color Yukata is free to lend. "Samue(room clothes)" are also available in the room as wearing in the inn. -About children's food: For elementary school year upper graders, we serve same menu as adult. For lower graders and children under 6, we serve children's meal. If upper graders want children's meal, please let us know by filling in "Request form". -Shuttle services are also provided from JR Kinosaki Onsen station(13:50~).